It is not so unusual for us as revenue assurance software vendors to hear that billing and rating validations (BRV) and usage assurance (UA) auditing are no longer relevant as the billing of newly released services are based on flat rate tariffs. This happened for instance when communication service providers (CSPs) started to release “all-you-can-eat” mobile data, video and streaming plans. What transpired however was that “RBV” and the “UA” had not died, but had in fact changed in complexity as they had to audit in order to deliver billing accuracy. As such the traditional data plans moved to flat fees but with quality of service (QoS) data plans, combined with WiFi hotspots and the services of multiple CSPs. Video content went the same way and now you can have different content streaming packages, with different resolutions and devices that are delivered once again as part of broader CSP’ services bundle. 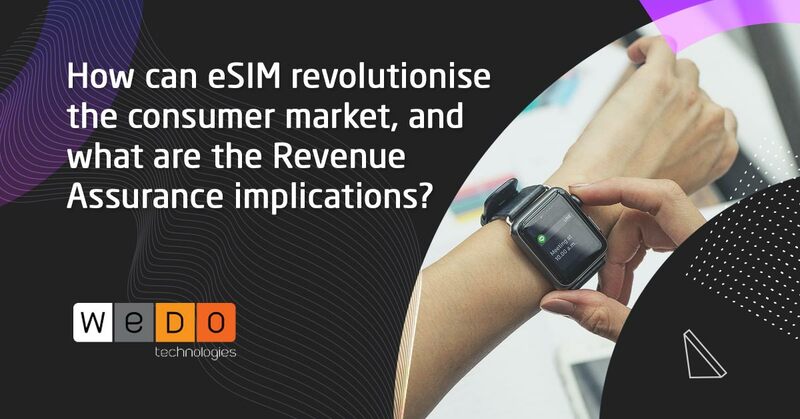 As CSPs start looking at enabling new services such as IoT and leveraging their 5G network investments, OSS/BSS suppliers such as billing vendors and CSP’ marketing teams will start to roll out new services and billing models which in turn will pave the way for revenue assurance vendors to guarantee a brighter future. Still not convinced yet? Despite the recent news that Ericsson will abandon efforts to sell its Revenue Manager to new customers, during Mobile World Congress 2018 in Barcelona, the company demonstrated the charging potential of the billing models based on 5G network slicing use cases for IoT services. The use case, demonstrated in the video, bellow, is for a surveillance camera service provided by a CSP using two different network slices, with different performance and cost characteristics. The "Enhanced Mobile Broadband" network slice provides low-cost connectivity suitable for always-on low-resolution access and has specific tariffs and units of measurement for charging. When it’s necessary to zoom in on the camera image, users can rely on a high-resolution access, which is provisioned in a more expensive "Ultra Reliable Low Latency Communication" network slice, which is configured at a different charging tariff, and uses a different unit of measurement for charging. This is just one example out of many possible scenarios where CSPs can allocate different 5G slices for different services at different billing models and prices. Ultimately, it will lead to defining which devices on the same data plan can have higher data demands, tracking network congestion, and offering slower bandwidth options through a variety of competitive pricing models to meet customer demand. The pace of technological changes provided by 5G NFV’s is transforming the way networks are built and services are delivered, but at the same this will a put a huge pressure on CSPs to develop new policies and charging solutions. 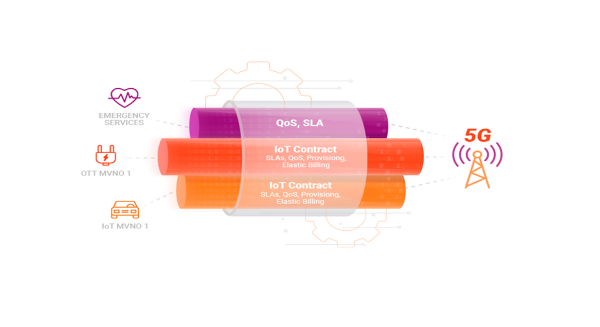 To keep up with the demand that connected devices can generate, CSPs need to offer flexible and scalable solutions that can be quickly deployed to bring new IoT products to market but at the same time they should deploy robust risk mitigation methodologies by interpreting the underlying drivers of the telecommunications value chain risks. At WeDo Technologies, we’ve engineered our product and worked with 5G suppliers to deliver our customers continuous protection with advanced analytics, turning data into powerful risk management insights and actions by covering vulnerabilities with a high degree of automation.